What a fun idea!! Your daughter has wonderful taste! This is the first blog I picked out of my Inbox today! I so so so love love love blueberries! Great job, they look amazing! Wow!! These look so yummy! 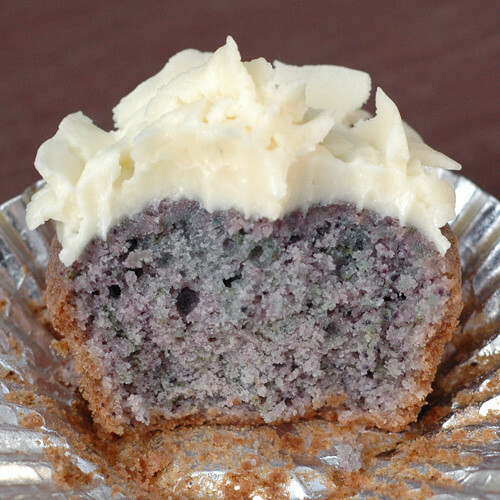 I’ve never seen a blueberry cupcake before! Love the cupcake color! How cool! Mmmmmm! I’m more of a strawberry gal but, it seems your daughter has a knack for knowing which one is a better antioxidant, haha. 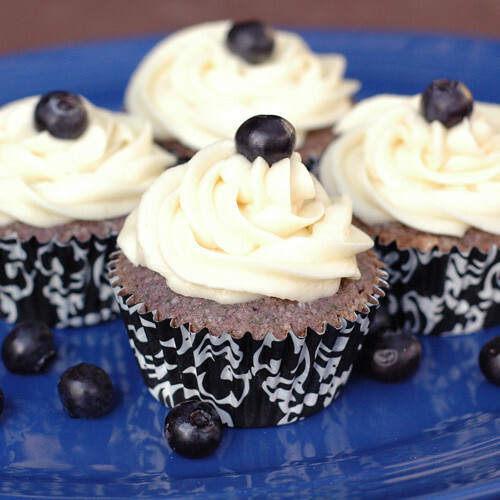 They look absolutely amazing and I’m glad I now know how to make a blueberry cupcake since I’m just used to making blueberry muffins. They look great, love the color! Oh my gosh these look fantastic! They’re so cute and I would definitely gobble these right up! These are so gorgeous! Good thing you captured their beauty! Happy Birthday to your little one!